Apple today updated its MobileMe Gallery application [App Store] for the iOS platform, bringing iPad compatibility as well as full support for the higher-resolution Retina displays found in the iPhone 4 and fourth-generation iPod touch. The update also brings support for multi-tasking and the ability for iPhone and iPad users who are not MobileMe members to view friends' photo galleries. A June update to the application had delivered the ability for the iPhone 4 to download higher-resolution versions of photos, but today's update extends Retina display optimization to the entire application. 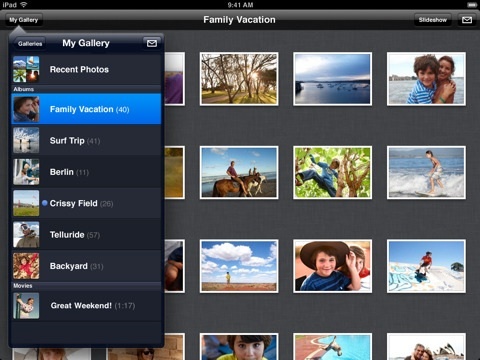 MobileMe Gallery debuted for the iPhone and iPod touch back in January.